This is a big star lamp at 24 inches across. This is a very festive star lamp that glows very nicely at night with it's multi color design. 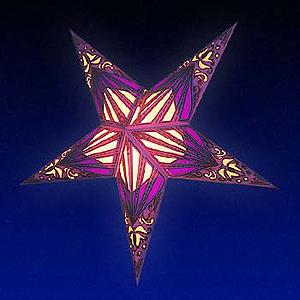 This purple star lamp has many shapes cut into it with different colored tissue paper underneath. You will love it!